Collect for fun – If condition of the note doesn’t matter, then you can house it on any page, visible page protector sleeve, etc. Collect for investment – You need to consider the best preservation possible. 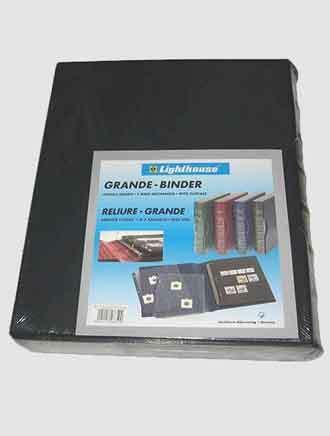 This will include housing your notes in a non-acid, non-plastic softener, archival sleeves. If a box is used, take note that is made from safe archival material, avoiding moisture, and protecting it from temperature changes. Collect for teaching and learning – The same measures need to be placed as if you were investing into the banknotes. But, it will depend on your method of handling the banknotes. If you use the banknote as “show and tell” and pass the note to students, then a hard type of see through sleeve should be used. This will ensure longevity and prevent damage to the banknote. I would not recommend laminating the banknote, as this can warp, burn or deface it. There are other factors that needs to be examined, such as light, temperature, humidity. 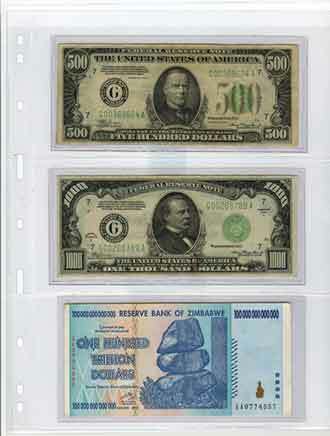 Your banknotes can last generations, if stored properly. For archival storage and display, I look for Vario from Lighthouse, a well known brand for stamp supplies (a German company).